The wind returneth again according to his circuits ..... The thing that has been, it is that which shall be; and that which is done is that which shall be done. — Ecclesiastes 1:6, quoted in P D Ouspensky's Strange Life of Ivan Osokin (1915). 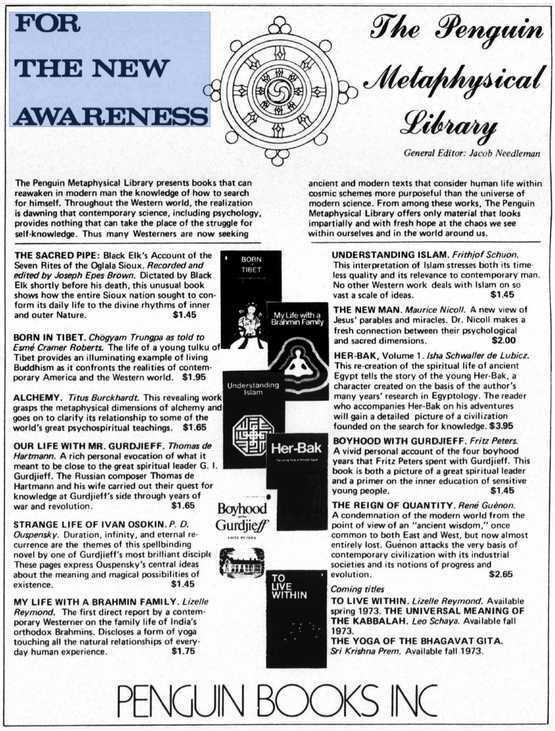 In the wake of Grignani and Willock's mesmerizing covers Penguin sf entered something of a lull, during which a handful of reprints appeared but very few new titles. However, for those with a keen eye there was still the occasional gem to be found. 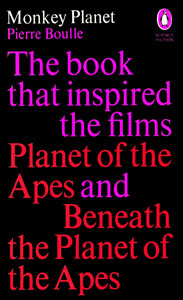 The release in 1970 of Beneath the Planet of the Apes, a sequel to the classic sf movie starring Charlton Heston two years earlier, prompted a reprint of Pierre Boulle's original novel with a striking new cover. This dispenses with art- work altogether and simply tells it like it is, using big, bold and unabashed typography that name-drops both movies. As an exercise in style and branding it combines the aesthetic appeal of Penguin's trademark sf livery – white and mauve on a black background – with traditional 'Penguin orange' and a blurb that catches the eye from a couple of metres away. For this is a cover that is clearly intended for front-facing display and its clever typographical layout, arranged like the indented paragraphs of a story starting there on the cover, is a strong enticement to turn over and keep reading. 1970 reprint with a cover by Ivan Atanasoff. A reprint of Huxley's Island in 1970 was not quite the cool crisp manuscript of two years earlier but its updated cover treatment (same soliloquy, bigger bird) maintained the impression that this was a field guide for mystics and twitchers. It was a blurb writer's dream – The bird is back, and bigger! 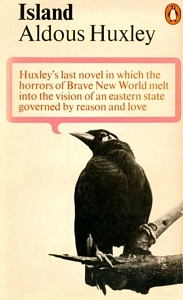 or This bird has grown, but the song remains the same – but the chance for a pithy strapline went begging and Penguin lost the paperback rights to Huxley's books soon afterwards. 1970 reprint with a cover by Grant Grimbly. It is said that Huxley once attended some lectures in London by the Russian philosopher P D Ouspensky whose two key works, Tertium Organum and A New Model of the Universe, had established him as one of the twentieth-century's great thinkers. The latter of these two books included a chapter on eternal recurrence, an idea that had first been proposed by Friedrich Nietzsche and was later used by Robert Louis Stevenson in his story The Song of the Morrow. 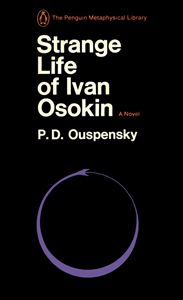 The idea also underpins Ouspensky's only novel, Strange Life of Ivan Osokin, an sf-esque tale of time travel that asks: if we could live our lives again, would we learn from our past mistakes and do things differently the second time round? First published 1915 as Kinemadrama. Published in The Penguin Metaphysical Library 1971 with a cover by Walter Brooks. 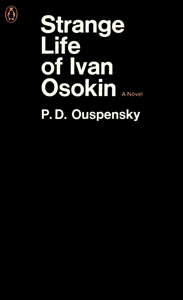 Ivan Osokin is a disillusioned young man whose self-inflicted failures have left him without prospects and yearning to return to his boyhood so that he may avoid his past mistakes, go to university, and get the girl. A time machine won't help as that would send him back as the man he is now, so instead he invokes a magical smokescreen to return him to his boyhood self but with his adult memories intact. Armed with this foreknowledge he resolves to put things right, but it is not so easy for people to change their ways as this thought-provoking inquiry into determinism versus free will shows. 1972 reprint with a cover and ouroboros motif by Walter Brooks.